The Race. The Place. The Party. Escape to incomparable Byron for an iconic multifun weekend. 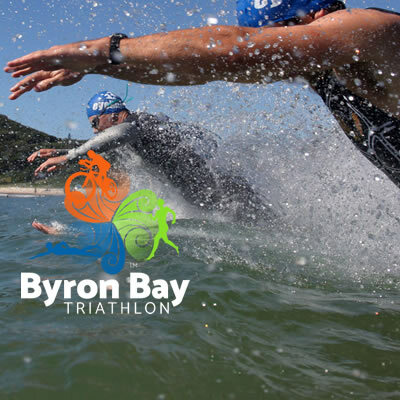 Entries are now open for the 24th annual Byron Bay Triathlon! Race information, distances and prices. For those young ones who are keen to have a go. Byron Bay offers the best end of tri season party destination. It’s been a great journey over 23 years and we are excited to be continuing the legacy of the Byron Bay Triathlon on the Australian sporting calendar. After a successful 2018 with a compacted cycle course, we had a safe and secure ride; with a few other improvements and innovations for this year, we are sure you’ll be excited for what we have in store. With Ballina & Byron stores, Sunrise Cycles offers the largest bikes & accessories display, plus we pride ourselves on customer service & satisfaction. Me-Ri-Da” represents the company’s intention to manufacture only beautiful, high-quality products enabling anyone to reach their destination as enjoyably as possible. An Aussie icon since 1963, Eyeline is the world's original swimming goggles manufacturer, producing the 'Best of the Best'. Delivering an innovative, friendly and straightforward approach to the region’s real estate market. SCODY is an Australian sports clothing manufacturer. Their mission is to make clothing that looks good and feels good so that more people exercise more often. Council applauds active & inclusive activities like the BBT. The best Free Guide to Byron Bay & the region's activities. Endurance nutrition products for correct fuelling decisions. One of Australia’s oldest Surf Life Saving Clubs.